INTRODUCING OUR NEWEST EQUIPMENT ADDITION! We’re growing to better serve you! 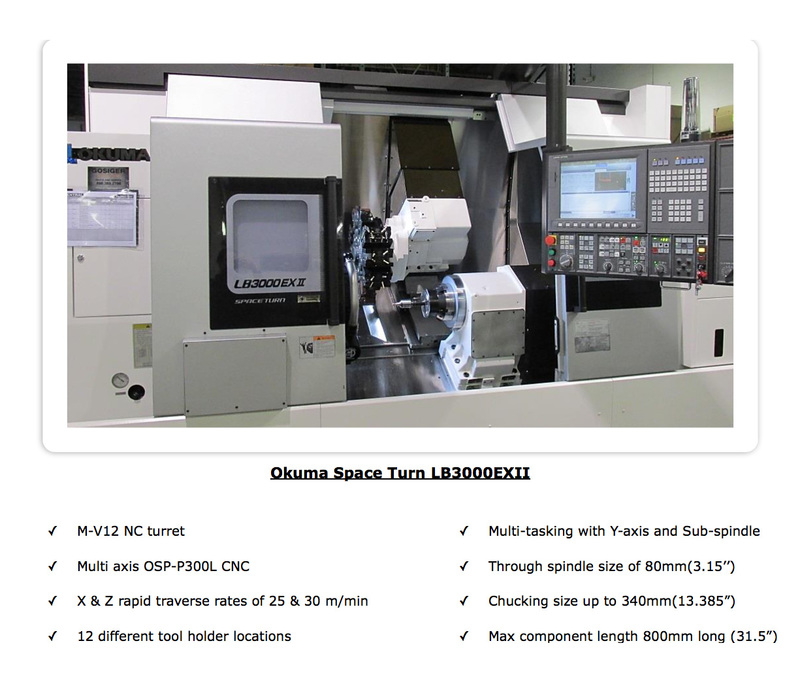 Central Screw Products (CSP) and Detroit Gun Works (DGW) has recently increased its CNC turning capacity by adding a new Okuma Space Turn LB3000EXII lathe. 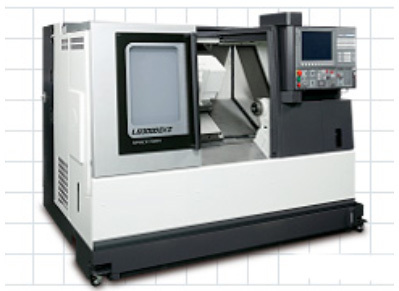 After extensive research, the Okuma was chosen for its reputation as a high quality and rigid machine tool. For the types of hard metal cutting that CSP/DGW specializes in, the Okuma is an optimal fit. With a beefy casting that’s almost 30% heavier than many of its competitors, the Okuma has the rigidity and precision that CSP/DGW needs to power through difficult to machine metals, and hold close tolerances over long production runs. CSP/DGW specified the machine with live tooling and a sub spindle to cut down on extra operations and ensure work could be done on both ends of the part. 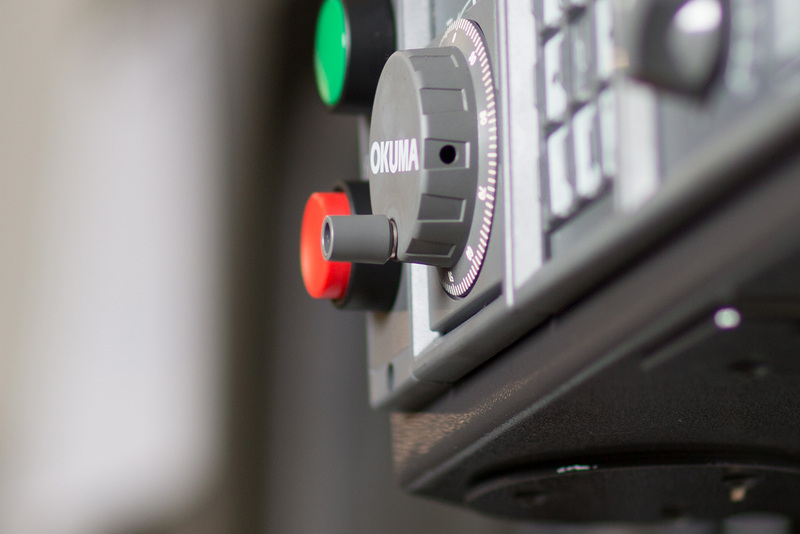 The machine is equipped with Okuma’s new OSP-P300L control. Its Windows functionality will allow CSP/DGW engineer’s ultimate flexibility as this machine moves through jobs, and as we add automation options for high-volume production. The Okuma allows us to increase the turning diameter and horsepower to accept jobs with a larger part envelope size; we have over 3″ diameter through the spindle capacity which will allow us to serve our customers’ needs on larger parts. In addition, this new lathe increases our overall turning capacity to take on more projects that might start with a base turning operations. Some applicable products are: axle, drive-train, and suspension components; pistol barrels, rifle barrels, bolt-action receivers, bolt carriers, and more. This new machine increases both capacity and capabilities for CSP/DGW and helps us stay ahead of the growing needs of our customers. Please call on us to assist you with your cylindrical or prismatic precision component applications! Central Screw Products Company is a 3rd generation family-owned concern producing machined components since 1924. In 2009, a dedicated division was launched as Detroit Gun Works (DGW) to serve the OEM firearms market. DGW is a qualified Type 07 Federal Firearms Licensee and maintains a special occupation tax permit (SOT) to manufacture certain restricted items. In addition, our companies are ITAR registered, ISO 9001:2008 certified, and AS 9100 compliant. Located in the greater Detroit area affords us top-notch secondary processors for heat treat, platings, coatings, anodizing, black oxide, and many other processes. More information can be found at www.centralscrewproducts.com and www.detroitgunworks.com .